Fanta Bayoh attended the University of California, Los Angeles, where she received a B.A. in American Literature & Culture. After graduation, Fanta worked as a HIV/STI Prevention Counselor for a non-profit organization. While at the Yale School of Nursing, Fanta was involved in efforts to bring greater diversity and inclusion to the student body, and co-founded the Minority Student Nurses organization. She also volunteered at HAVEN Free Clinic, participated in the Yale Global Health Justice Partnership as a Student Fellow, and served as the President of the Yale Black Graduate Network. 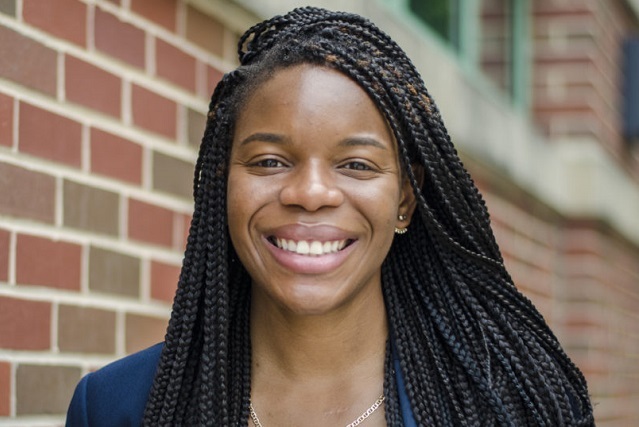 At commencement, Fanta was the recipient of two student awards for her leadership and outstanding performance in scholarship, research, and clinical practice. As a family nurse practitioner, Fanta is committed to providing primary and preventative care for marginalized groups. She is excited to join the Institute for Family Health and looks forward to exploring her interests in social justice and health equity as a Nurse Practitioner Fellow. In her free time, she enjoys reading, dabbling in photography and art, and staying active through yoga & other forms of exercise.